The RAIC publishes its quarterly Journal within Canadian Architect magazine. With so many shared objectives, the RAIC and Canadian Architect collaborate on many projects to create awareness and promote excellence in the built environment. 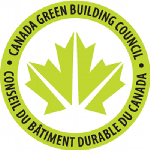 CaGBC and the RAIC share a commitment to supporting the growth of the sustainable built environment, and cooperate on activities related to the advancement of the sustainable built envitonment in Canada. The RAIC and IDC work together to present IIDEXCanada, Canada’s National Design + Architecture Exposition & Conference. This partnership helps to increase the exposure of Canadian architects, architectural products, technology and services, as well as provide education to the design, bullding, development, real estate, and architecture industries in Canada. Kollectif and the RAIC exchange of information on topics that affect the architectural profession from coast-to-coast, and increase visibility as well as public engagement for both the RAIC and Kollectif. The partnership between the RAIC and No.9 will build public awareness of architects and architecture through educational public outreach projects and to advance the 2030 Challenge for carbon footprint reduction. QBS Canada is a coalition of associations, companies, and professionals advocating for the use of Qualifications Based Selection (QBS) when hiring professional services firms in Canada. The RAIC is an active participant in this coalition. Together, the NCC and the RAIC exchange information on activities related to design excellence and promoting responsible architecture, sustainable planning practices and outreach in the National Capital Region. The NLAA and the RAIC have partnered to promote excellence in the built environment while ensuring protection of the public through responsible architecture. The AAPEI and RAIC work together and share information for the purposes of protecting the public through responsible architecture. The two organizations work collaboratively in the goal to enable safe, vibrant, healthy places for people to live, work, and play, through the practice of architecture. The focus of the partnership between the RAIC and AIBC is to capitalize on the mutual understanding and strong foundations between the two institutes. The sharing of information between the two associations will help to protect public interest, advance practices that ensure a vibrant architectural profession, and enhance the image of architecture in the public domain. 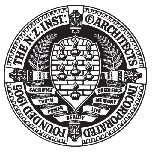 The NZIA and the RAIC have an agreement of mutual support and cooperation, as both Institutes are dedicated to high standards of professionalism, integrity, and competence. The RAIC and the Strategy Institute have partnered to cross promote various events like the Summit on Public Consultation and Engagement. Through this partnership, RAIC members are offered special promotions and discounted pricing for the Strategy Institute's conference. The Site Magazine is the leading independent journal of contemporary architecture, landscape, urbanism, and design in Canada. It contributes to a global discussion on the built environment, leveraging the multi-faceted Canadian lens that includes the Canadian perspective abroad. Its accessible and high-quality content brings this discussion into the mainstream, to the breadth of audience it deserves.